Metal is an astonishing and remarkable resource. It can be reused over and over again, infinitely. This means that anything our society constructs out of metal can always be dismantled, melted down, and repurposed. Of the many commodities constructed of metal, one of the most metal-containing are airplanes. Airplanes mostly contain iron and steel, but they also contain a long list of other metals and alloys. From single pilot and commercial planes, to aircraft carriers, hangers, and more, all of these assets contain massive quantities of metal and alloy, as they are primarily constructed of such. So what happens when these assets get old, become outdated, or breakdown? 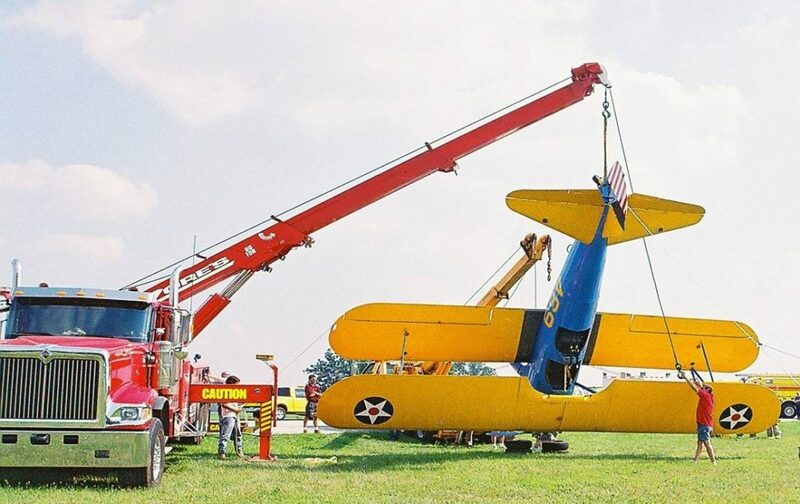 Fortunately, there is a national initiative to recycle airplanes and aircraft equipment. Continue reading to learn some really interesting information about airplane recycling, and then share them with your peers to encourage them to recycle scrap metal! In the airline recycling industry, when a plane is decommissioned, it is broken down into parts that can be reused or recycled. The most valuable parts of an airplane are the engines and related mechanical systems. Other parts that are dismantled include landing gears, electronic devices, aluminum, wires, titanium and steel alloys, carbon fiber composites, and other metal components. The outer shell of the airplane is also valuable, and retrieved for repurposing applications. Non-metal airplane components are recovered as well, such as textiles, carpet, seats, foam, fluids, and more. After the metal components are retrieved from a plane, they can be melted down and repurposed into a wide range of new commodities, such as televisions, circuit boards, and computers. Other parts, like seats and plumbing, are reused in other commissioned aircrafts, so long as they are still in good condition and meet all industry requirements. In fact, it is becoming more common, and even standard practice, to retire airplanes earlier than normal in order to reuse parts. This has been proven to generate more revenue than selling a plane intact. The Aircraft Fleet Recycling Association (AFRA) is important to the worldwide initiative of recycling and conserving our natural resources. They are a global, non-profit trade association dedicated to encouraging and pursuing the best environmental practices for aircraft recycling and salvaging. Initially inducted in 2006 for the purpose of promoting sustainable management of end-of-life aircraft engines and airframes, the AFRA is fully-immersed in all aspects of environmentally-conscience, end-of-life commercial airplane processing. Call Zore’s Recycling division at 317-244-0700 to recycle metal in Indianapolis, Indiana for cash. We have been a family owned and operated company for over 75 years, and continue to make customer satisfaction our number one goal in our metal recycling division. And to make recycling easier for you, we offer several customer conveniences at no extra charge! Request a free estimate, today. This entry was posted in Automotive Recycling and tagged Aircraft Fleet Recycling Association, Aircraft recycling facts, Airplane metals, Airplane recycling, Recyclable Parts of an Airplane, recycle metal Indianapolis. Bookmark the permalink.